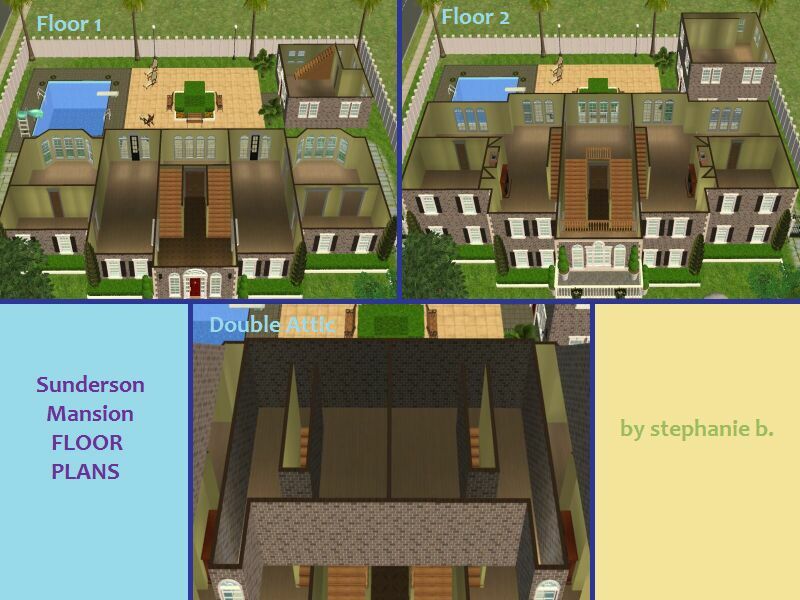 Mod The Sims - The Stepford Project III: 3 Mansions by D.D.I. 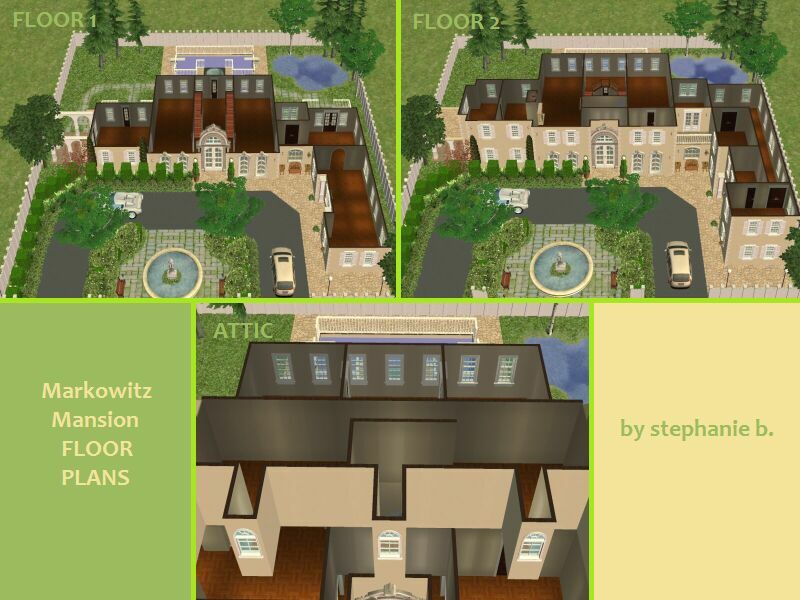 This is Part 3 and includes 3 Stepford Mansions: The Markowitz Mansion, the Sunderson Mansion and the Kensington Mansion. Enjoy the downloads! 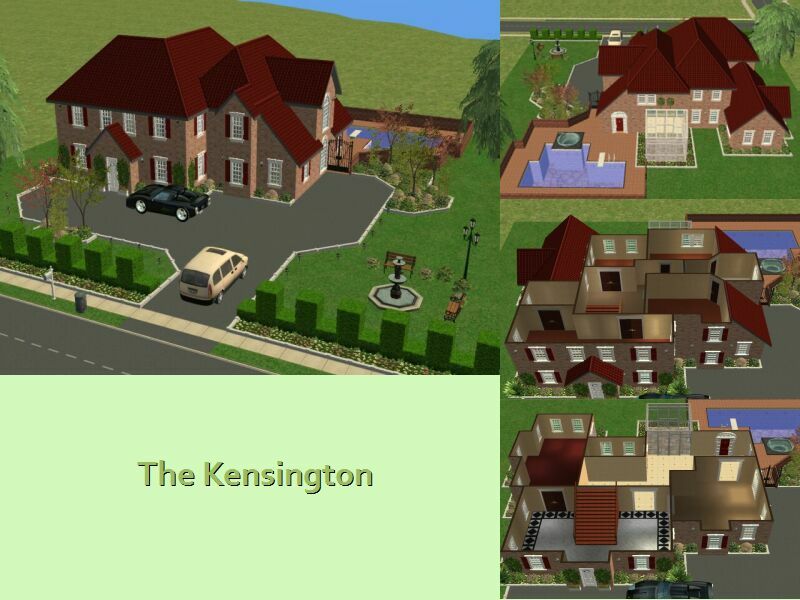 There are 3 mansions in this download. The Sunderson Mansion is home to Faith Hill's character and the Markowitz Mansion is home to John Lovitz and Bette Midler's characters. 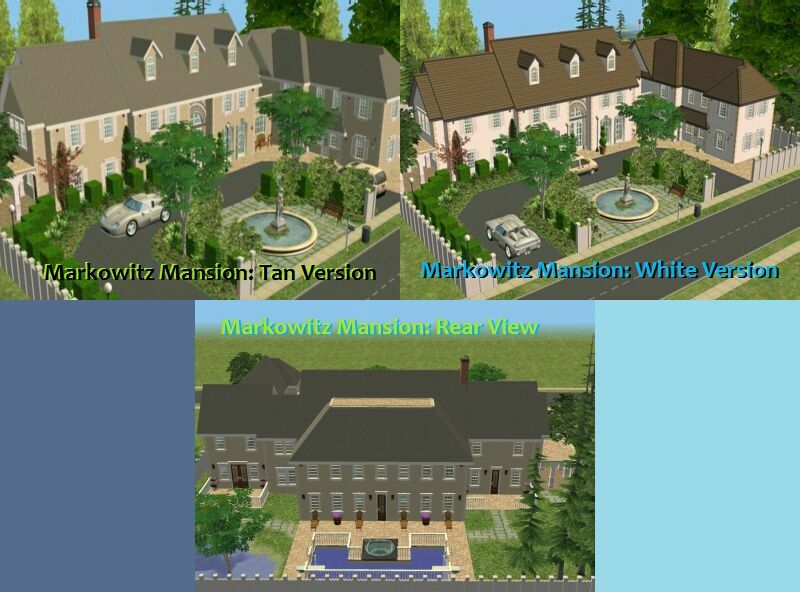 There are 2 versions of the Markowitz Mansion. 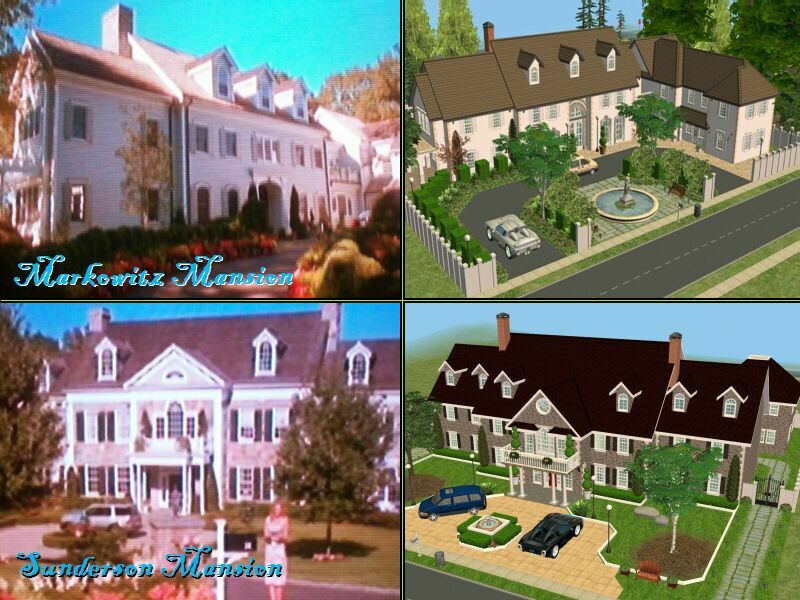 The only difference between the 2 lots is the exterior wallpaper - one house is white brick and the other is tan stucco.The Kensington Mansion is another one of the fabulous mansions seen in the Stepford movie. The mansion name is purely fiction. Note: The red flower bushes were purposefully placed (using "boolprop snapobjectstogrid false" and "move_objects on" cheats) to overlap the driveway. If you are having "trouble" with your driveways, be sure to move the hedges that overlap the driveway slots. This was tested in the game and worked fine. However, please keep this in mind if your Sims decide not to park the car, if you are redesigning your landscape or if you want to move the driveways. Thank you to the following artists for helping to bring this Sim lot to life: Phoenix_Phaerie, Macarossi, Windkeeper, Mzcynnamon, Ailias, x-rax, WitchyWoman, Shufonk, rebecah, and Khakidoo. Be sure to browse the links at the end of the post for other fabulous downloads by each artist! 278 people have said thanks to Deluxe Designers Inc. for this download.